The streetwear style is one of the most popular trends for 2018 and it has made it's way from the streets into luxury fashion houses. If you're searching for a way to get on board with this trend Fashiola has the perfect collection for you. If you've already checked out Fashiola's favorite pieces of streetwear clothing and need to find those perfect street-finishing touches then this edit of accessories is for you. 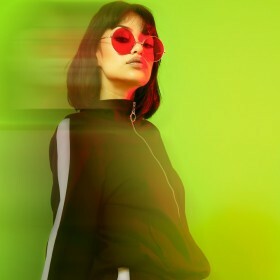 The streetwear trend is all about being bold with your choices so statement hoop earrings, branded backpacks and confident prints all feature if this collection of streetwear accessories.